If you’re looking for a vehicle that’s built for safety and brimming with advanced safety tech, you’ll want the 2017 Mazda3. From basic safety features like stability and traction control to a full lineup of i-ACTIVSENSE® safety technologies, this model has it all—and it’s now available at Mazda of Manchester, only 15 minutes from Glastonbury! 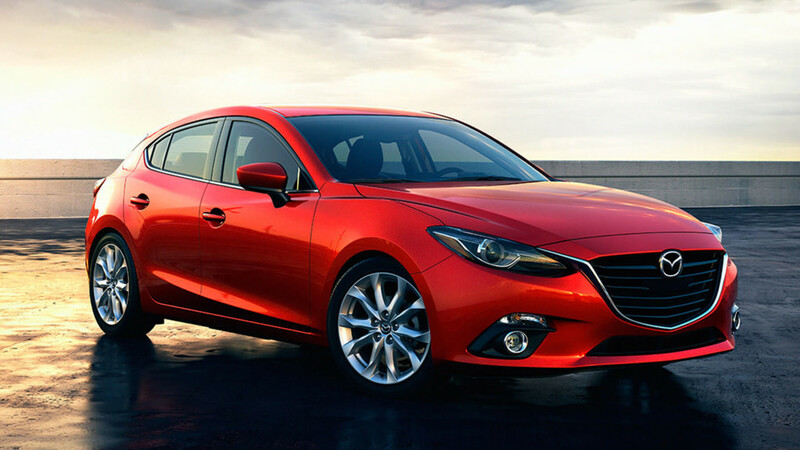 From the very start, the Mazda3 puts a strong focus on safety. That’s apparent from its long list of standard safety features, which include stability control, traction control, antilock disc brakes, active front head restraints, and front side and side curtain airbags. You’ll even get a rearview camera on the 7-inch touchscreen display that comes standard on every Mazda3 model. High Beam Control – This system is able to tell if there’s a vehicle ahead of you or oncoming, automatically turning the high beams on and off accordingly to help maximize visibility for you without blinding those around you. Rear Cross Traffic Alert – Be aware when a vehicle is approaching behind you with this feature, which automatically sounds an audio warning and sends a visual alert to your side view mirrors. Lane Departure Warning – If you begin drifting out of your lane, this feature will automatically create an audible and visual alert, so that you can make a correction. Lane-Keep Assist – This feature takes Lane Departure Warning to the next level, using sensors and advanced steering assist to automatically make small corrective steering measures if your vehicle is not in the center of the lane. Adaptive Front Lighting – This feature automatically turns your headlights as you’re turning the steering wheel (up to 15 degrees in the direction of your turn) in order to help you more clearly see the road lying just around the bend. Advanced Blind Spot Monitoring – This feature is able to detect a vehicle in your blind spot and issue a corresponding warning. Smart City Brake Support – At speeds between 2 and 18 mph, this system will prepare your vehicle to brake if it detects an object in front of you and will automatically apply the brakes if you don’t. Mazda Radar Cruise Control – This adaptive technology allows you to set your cruise control speed and then will automatically adjust the speed when needed based on the speed of the vehicle in front of you, automatically applying the brakes and accelerating to help you maintain a safe following distance. At the time of this writing, the Insurance Institute for Highway Safety (IIHS) had not yet released its safety scores, and the National Highway Traffic Safety Administration (NHTSA) had not yet completed its safety crash tests. However, we do know that the Mazda3 received the top score of five stars in both the Overall Side Crash test and the Overall Side Barrier test from the NHTSA. Choose a sedan or hatchback that will keep you and your passengers safe. Choose the 2017 Mazda3, available at Mazda of Manchester (just 10 minutes from Hartford, CT at Exit 63 off I-84 East or West). Contact us today to schedule a test drive, or stop into our dealership, conveniently located at 80 Oakland Street in Manchester, CT, only 5 minutes from Vernon and a short 10-minute drive from South Windsor.